I have to start by saying congratulations to my co-host April on her precious baby boy Lochlan! He is perfection! two // I am so dang excited about a package en route to us. 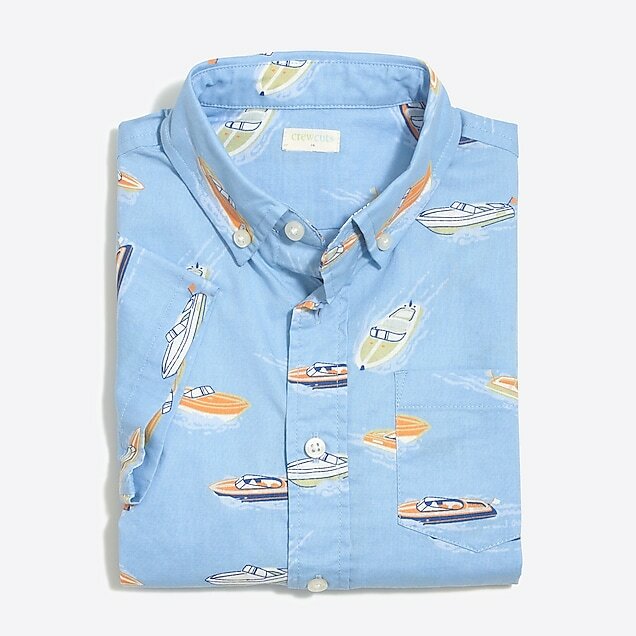 I found the cutest matching summer shirts for Thomas & Matt on sale at J.Crew Factory: Thomas Shirt // Matt Shirt (print is Blue Coral Boats) and some cuuuuute pom pom shorts (also on sale) for me! three // I’ve been stocking up on salad kits for lunches lately. They are so tasty, easy to throw in a lunch box in the morning and are like $2.50 per bag. I also like to use them for dinner. This week I browned some ground turkey, threw it on top of a southwest chopped salad kit and topped it with avocado — easy and delicious! four // Can someone please explain to me how you eat with bell sleeves? I want to love them. I really do. And I really love and wanted to keep this adorable dress…but I love to eat more. 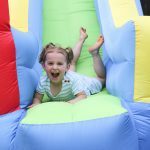 PSA for Charlotte mamas looking for summertime activities for your kiddos: I recently received an Aqua-Tots Myers Park email announcing summer 2 week fast track programs for June and July. 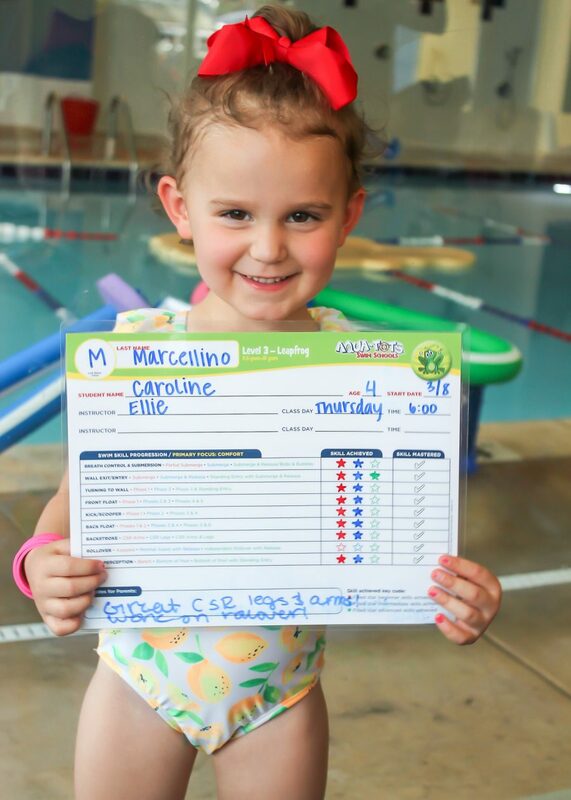 The accelerated program speeds up progress by attending 8 days in a 2-week period. And if the lessons are anything like the ones we attend, you’re guaranteed to wipe the kids out for some good sleep! Ha! Yes, I was just coming here to post the same. I’ve found a couple cute ones that fit the bill at JCrew in recent months. Do you have a source for your black dress in the first picture? It looks comfy and sharp! Old Navy swing dress! I have it in 4 colors — so comfy! Oh those shorts are so cute!! that is a very cute dress but I would struggle with eating also. Love those pom pom shorts! 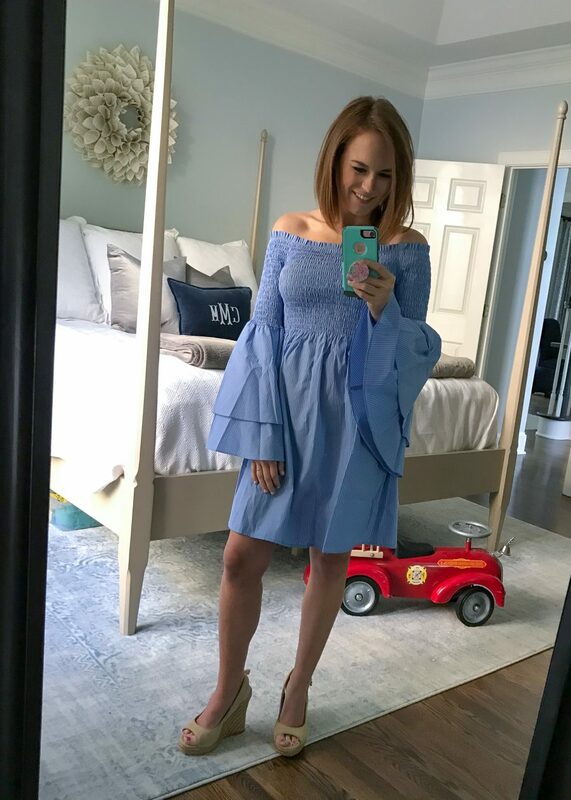 Where are your cute wedges from in the pic of the bell-sleeve dress? Just ordered the matching father son shirts! Thanks for the last minute Father’s Day idea!! 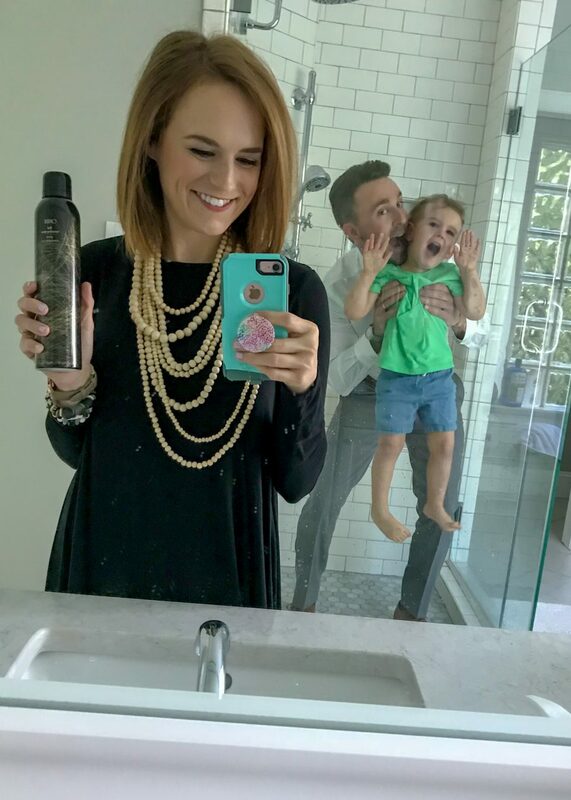 Looooove your necklace in the first pic! Would you mind sharing where you bought it? I had not seen those salad kits!! Will check out! That seems super easy!! What shade of blue/gray paint is that in your bedroom? Thanks! I cannot for the life of me figure out how to eat with bell sleeves! I maintain that it is impossible! It is a complete shame though because that dress is so dang cute! 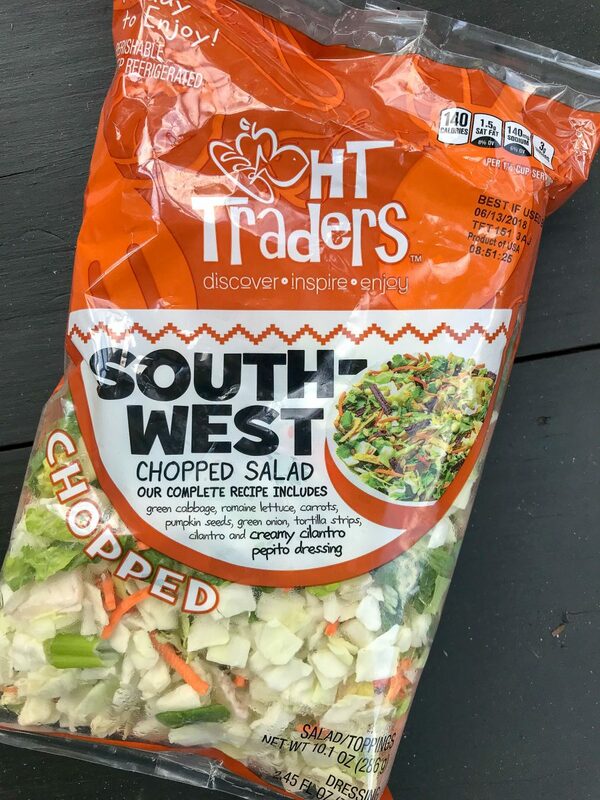 Where are the salad kits from? That one looks so good! Cracking up over the boys in the background in your first pic. Too funny! Will you please do a video on texturizing spray and one on highlighting for dummies? Thanks!